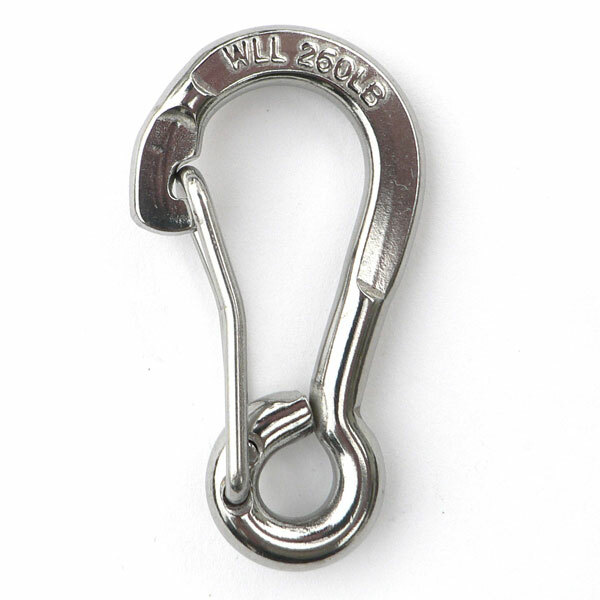 This is a well-designed, functional and dependable clip. The notch in the hook end allows the spring gate to also carry some of the load when the clip is under loaded conditions. 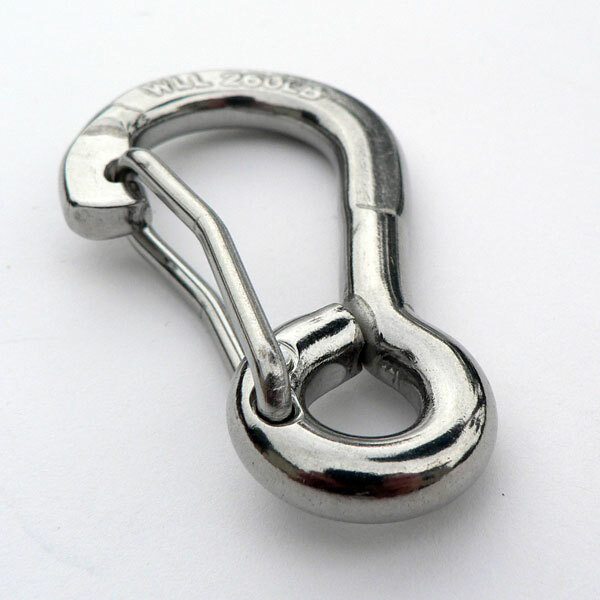 As a result, this clip is very strong and can take a static load of 1000 lbs. 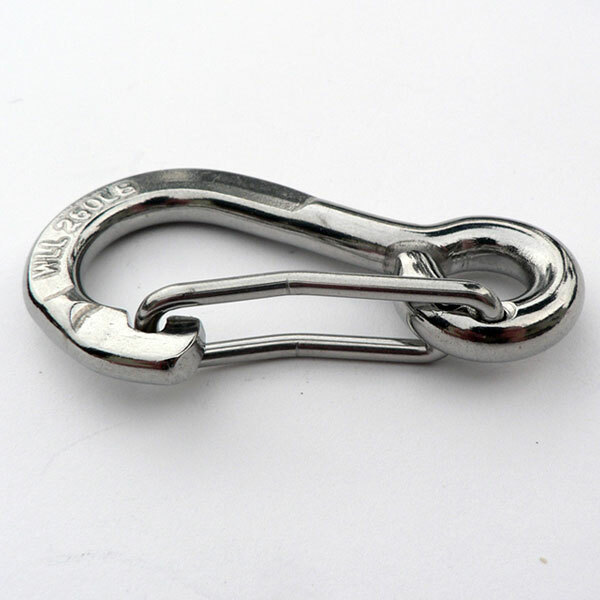 Made of 316 stainless steel alloy, a salt water or beach environment is no challenge to this clip.